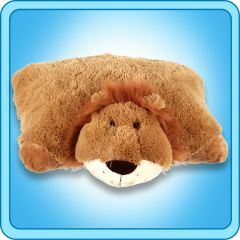 Home > PillowPets 18" > Lively Lion 18"
My Pillow Pet Cowardly Lion Toy - Size: large 18"
We all know how many times tough lions are part of children’s fairy tales, and thanks to movies like the Lion King, they have become a popular animal to have stuffed animals of. Because of this My Pillow Pets have made a very neat pillow pal, called My Pillow Pets Cowardly Lion. 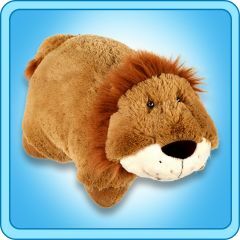 This adorable animal is tan; with a nice fluffy mane and a neat little tail make it a very popular choice among children who love lions. This very fun toy, or pillow depending on how you are using it at the time, is very popular with children.